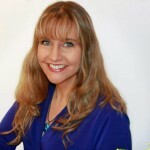 KJ Waters was the first author to make herself available for the new Podcast series. Having talked with her before, it was only natural to reconnect and discuss her newly released short story, BLOW. It’s a fun discussion with a very talented indie author who is just loaded with creativity and personality. We talk about the books and her approach to writing. Story Synopsis: Caught between a hurricane and a deadly secret, Rick Harris struggles against a ticking clock when the wrong people show up at his door looking for shelter. As the storm closes in wreaking havoc on Pensacola, Florida, he has to make a choice between saving their lives and exposing a secret that could cost him everything. Listen to “K.J. Waters – BLOW” on Spreaker.